Located near Fort Myers on the Gulf of Mexico, Cape Coral, FL, is home to beautiful nature preserves, picturesque canals, a choice of water sports and scenic golf courses. Relax at the Yacht Club, shop at the farmers' market, visit the Southwest Florida Military Museum, explore the Rotary Park Environmental Center and stop by the Tom Allen Memorial Butterfly Garden on your weekend trip. Here are the best things to do in Cape Coral, Florida. 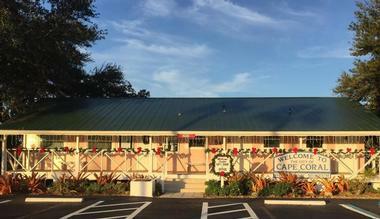 The Cape Coral Yacht Club is a public community center situated on the shores of the Caloosahatchee River. Built in the 1950’s, the Yacht Club is one of the city’s original landmarks and one of the top Cape Coral attractions. The Yacht Club is home to Cape Coral’s most popular beach zone; a wide stretch of white sand lines the beach area where families are able to set up chairs and umbrellas. 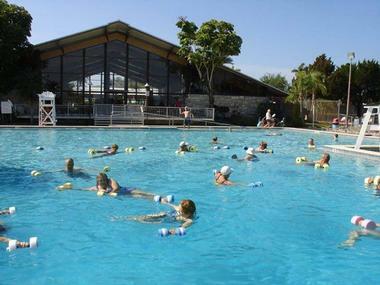 The Yacht Club also offers a long fishing dock and a community swimming pool. An on-site playground is also available, along with a pavilion, snack center, and facilities. Throughout the year, the Yacht Club is also host to a variety of events and festivals, all listed on their online calendar of events. The Tom Allen Memorial Butterfly Garden, located at Rotary Park, is dedicated to preserving native butterfly species, and the house is a sanctuary for butterflies from predators, and is one of the best things to do in Cape Coral, Florida. 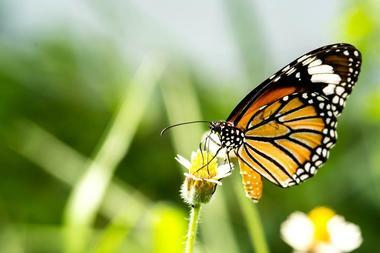 Once the butterflies have hatched, matured, and become grown, they are released back into the wild. At the butterfly house, visitors are able to witness all four life stages of the butterfly, from egg to bright winged, with free tours on Monday, Friday and Saturday mornings. The guided tours educate visitors on characteristics of the specific butterfly species, and inform them about the mission of the butterfly house. The Southwest Florida Military Museum & Library is dedicated to honoring the military and educating the public through the display and preservation of military memorabilia and interpretive information. The museum features informative content, literature, artifacts, and displays beginning with the Revolutionary War and lasting through the current Middle Eastern Conflicts. The materials used in the museum have all been donated and are certified as authentic pieces. The museum and library are also host to a range of events throughout the year. Admission is free. 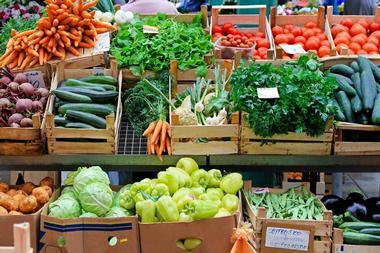 The Cape Coral Farmers' Market is a popular destination for locals and visitors alike. The market, which holds a seasonal schedule and occasionally closes for off times, is host to a variety of shopping opportunities. Visitors to the market are able to peruse stalls of locally grown produce, meats and cheeses, baked goods, canned goods, cut flowers, and more. Additionally, handcrafted goods are also available for sale. The market offerings also include a variety of food truck vendors, who sell unique street food from their location, parked just outside of the market grounds. The 97-acre Rotary Park Environmental Center is comprised of a variety of landscapes and ecosystems. 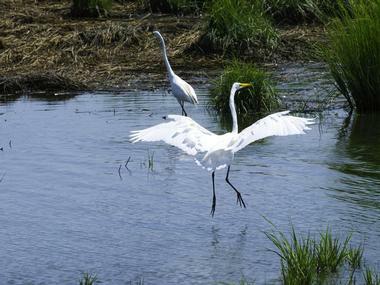 Salt marshes, upland, and ground level rock are all a part of what makes the center a unique Cape Coral attraction. Visitors are able to appreciate the land through a variety of walking trails, boardwalks, and open parks. A large dog park is also available. An enclosed on-site environmental center hosts nature and gardening classes, exercise glasses, kid’s summer camps, and various festivals and events throughout the year. The Tom Allen Memorial Butterfly Garden is also located at the Rotary Park Environment Center. If you are wondering what to do in Cape Coral, Florida with kids, this is a great place to visit. 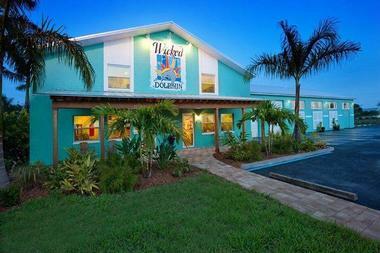 The Wicked Dolphin Rum Distillery is a well-known distillery in the region. A favorite spot for rum enthusiasts and tourists, the Wicked Dolphin Rum Distillery offers a diverse and engaging tour of its facilities. Visitors are able to participate in guided tours through the site’s distillery plant, where a rum expert provides information on the ingredients, sourcing, cooking, fermentation, and distilling process, all of which takes place on site. The group then transitions into the barrel room, where visitors witness the unique process that provides the rum with it’s distinct taste and color. Tours are available on Tuesday, Thursday, and Saturday. Four Mile Cove Ecological Preserve covers 365 acres, and it is the second largest preserved natural space in the city. The area is comprised of a marshland and river system, and visitors are able to access the area by utilizing a series of walking trails or by kayaking. Visitors are welcome to bring their own kayaks or rent them directly from the preserve. An on-site visitor center provides information on the region and on the preservation efforts, along with maps and recent wildlife sightings. 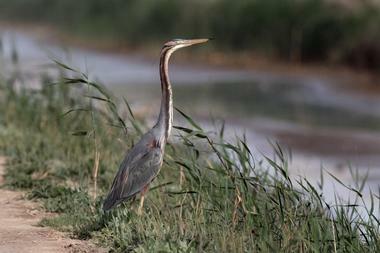 Eagles, herons, raccoons, snakes, and a variety of wading and migratory birds call the preserve home. The preserve also has a veteran’s memorial area, which celebrates the lives of those who have served the country in the armed services. Located at the Cape Coral Yacht Club, the Boathouse is a tiki bar and grill themed restaurant. Open early in the morning throughout the evening, this fun and festive spot features a vacation-like setting perfect for seafood, cocktails, and live entrainment on the beach. When arriving by car, guests can park in the lot, while boat arrivals can park in the restaurant’s lower level slips. A large wooden deck wraps around the building and connects to a sandy strip of private waterfront beach. Guests can sit underneath the tiki awning, out under the large umbrellas adorning the patio, or on beach chairs looking out at the water. The waterpark is closed for the season and will reopen in 2016. 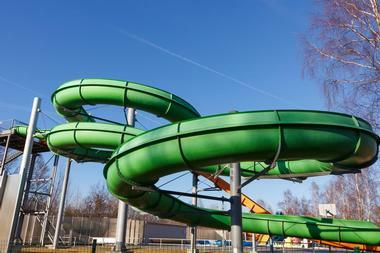 Sun Splash Family Waterpark is a 14-acre compound of water entertainment and activities that features a variety of slides, including a 30-foot drop called Cape Fear, a wild enclosed ride call Fun-L-Tunnel, and a free falling experience called the Drop Slide, among several others. The waterpark also has a lazy river for tubing, an ecological boardwalk for viewing nearby Lake Kennedy, a family pool, racing slides, splash pads, an area for toddlers, volleyball courts, and more. The most extreme attraction is known as the X-celerator, a 48” tall drop, where guests speed along at 30mph, nearly 40 feet per second. 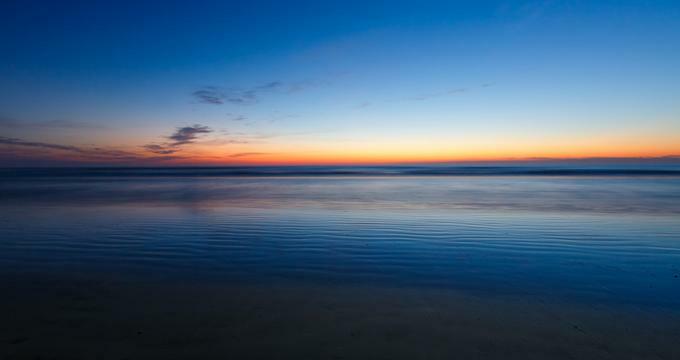 More vacation ideas: 25 Best Things to Do in St. Augustine. Foster’s Grille is a small eatery open for lunch and dinner. 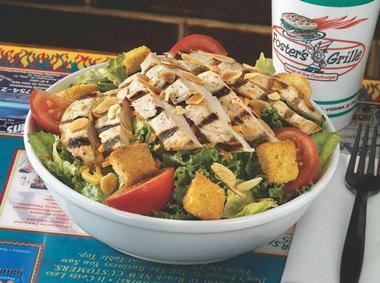 Popular for its friendly neighborhood atmosphere and casual menu, Foster’s Grille has carved out their own niche of the Cape Coral dining scene. Some of the Grille’s specialties include its fresh, locally sourced Charburger and hand cut fries, fresh squeezed lemonade, extra thick milkshakes, and homemade cakes. All menu items are made to order. The dining space is welcoming and relaxed, as Foster’s aims to maintain a backyard BBQ atmosphere. Checkered tables, bright furnishings, and sports memorabilia all add to the home-like environment. More weekend & day trips: 22 Best Things to Do in Tampa. 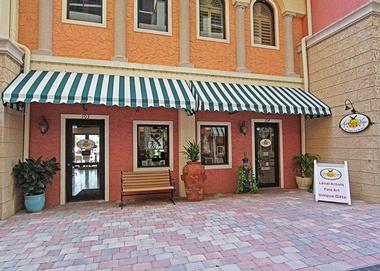 Harbour View Gallery is a unique art center in Cape Coral. The only artists’-owned co-op in the region, the gallery showcases a variety of local art and also provides framing services. Every month the gallery features an artist of the month and displays an exhibit of their work on site. Additionally, other artists who practice a range of diverse mediums exhibit and sell their pieces at the gallery. A public reception is held on the first Tuesday of every month to honor the upcoming featured artist and to present the exhibit to the public for the first time. Open for dinner, this classic Italian eatery is a popular place to eat in Cape Coral. 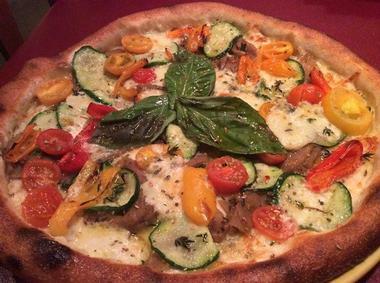 Focused on providing dishes with authentic flavors and made from fresh ingredients, Ciao Wood Fired Pizza and Trattoria features a menu that highlights favorite Old World Italian fare. While food fired pizza dominates the eatery’s offerings, a large selection of other meals are also available, including classic entrees, side dishes, and salads. 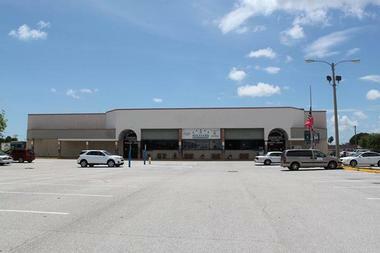 This small neighborhood spot is comfortable and warm and has a welcoming and relaxed atmosphere. Exposed brick and rich paint colors lend themselves to a Tuscan vibe, but the ambiance remains laid-back and casual. A recent addition to the city of Cape Coral, Cape Coral Brewing Company is a local craft brewery. Aside from offering guests a variety of craft brews, the Brewing Company hosts a series of tours and events. Guests are encouraged to partake in self-guided tours through the brewery throughout the day, and they end an hour before closing.